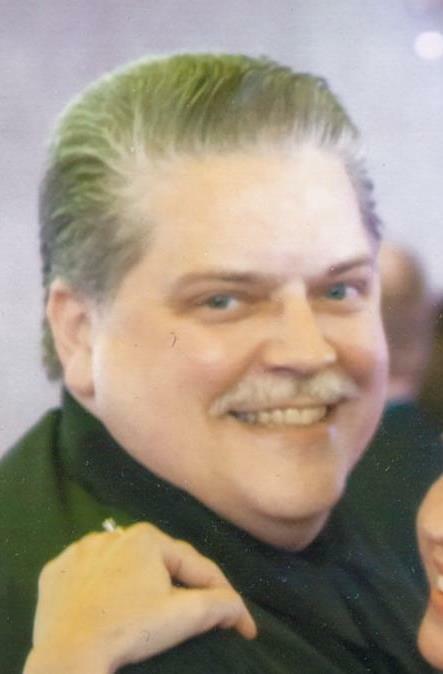 Hubbard…Funeral services will be held Tuesday, March 26, 2019 at 10:00 a.m. at the Archangel Michael Greek Orthodox Church, with Rev. Steve Denas officiating, for George T. Krinos, 52, who passed away Wednesday, March 20, 2019, with his loving family by his side. George was born September 2, 1966, in Youngstown, the son of Theodore and Suzanne Horvath Krinos. He was a 1984 graduate of Campbell Memorial High School and then went on to earn a Bachelor of Science degree in Business Administration from Youngstown State University in 1992. George worked as an accountant for Black, Bashore and Porsch LLC in Sharon. He was a parishioner of Archangel Michael Greek Orthodox Church, where he was an altar server in his youth. George was a member of the Bedford Trails Golf League and Pool League. Most of all, George will be remembered as a great family man. He loved annual family vacations to Presque Isle, Lake Erie, watching T.V. with his girls, and going out for ice cream. George will be deeply missed and always remembered by his mother, Suzie Krinos; his wife, the former Mary Kausits; whom he married October 10, 1993; his daughters, Emily Lynn Krinos, who is a student at West Minster College, and Elisabeth Lee Krinos, who is a senior and Valedictorian at Hubbard High School; his sister, Ellie (Mark) Starheim of Hubbard and their children, Suzi (Tom) Wasilewski, Alexis (fiancé Elliott Lanz) Starheim, and Effie Starheim; his mother-in-law, June Kausits of Campbell; brother-in-law, John Hordiewich, brother-in-law, David (Lisa) Kausits of Lowellville and their children, Jessica and Jake Neill and their daughter Isabella of Arizona; brother-in-law, David (Vilmary) Kausits of Campbell and their son, Mateo; brother-in-law, Joey Kausits of Lowellville and brother-in-law, Steve (Shawn) Kausits of Boardman; and his dear dog, his baby boy Louie and cat Beauty. He was preceded in death by his father, Theodore “Ted” Krinos; his sister, Effie Hordiewich; and his father-in-law, Dezso Kausits. The Krinos family has entrusted their loved one to the care of the Wasko Funeral Home and will receive family and friends Monday from 5-8:00 p.m. in the funeral home, and again Tuesday morning from 9:30-10:00 a.m. at the church, prior to the 10:00 a.m. funeral service.